Due out before the end of the year from Eerdman’s Press is The Ethical Vision of Clint Eastwood, a major new book on the iconic actor/director with a strong emphasis on his recent work. The book’s author, Sara Vaux, has taught courses on religion, literature and film at the University of Chicago, Garrett-Evangelical Theological Seminary, North Park Seminary and, since 1998, Northwestern University where she has graciously hosted me as an occasional guest lecturer. As her pedigree suggests, Vaux, who also authored Finding Meaning at the Movies (Abingdon, 1999), writes about cinema from a serious ethical perspective but in a style that is always as entertaining as it is illuminating. Eastwood has in my opinion found his ideal critic in Vaux, whose incisive new book should be essential reading for anyone with an interest in the man. MGS: Your book takes a refreshingly original approach to Eastwood in that you consider him as someone deeply engaged with moral and spiritual issues. Did you always view him this way and, if not, how has your view of him as both actor and filmmaker evolved? SV: Until I saw Unforgiven when it first appeared in theatres, I only knew Eastwood through snatches of movies I caught while my boys were watching them on TV. The first one I remember is Firefox. When I commented upon the dark screen and the strange persona of the protagonist played by Eastwood, I received a long lecture from my sons about the actor’s contributions to the mythology of the American (male) hero. With Unforgiven, I realized that as a director (and as an actor who plays it low), Eastwood was a sage cultural analyst who was not afraid to challenge myths of a “pure” west for “just” conquerors. He also is not afraid to expose the devastations that ecological disasters and economic greed have visited upon men, women, and children. MGS: There have been more and more books written about Eastwood in recent years and I know you’ve read them all. What does your book bring to the table that the others might not? Why should an Eastwood fan pick up your book? SV: Apart from Christopher Frayling, Laurence Knapp, and Kent Jones, American Eastwood analysts have focused largely upon his depiction of the American male, his private life, or the plots of his many movies. French critics, with a broad film background that includes classical American cinema (including westerns), approach his best films from a philosophical and humanistic as well as a cinematic perspective. Michael Henry Wilson’s astute interviews, Noel Simsolo’s art-centered approach, and recently, essays in the French journal NUNC that look at Eastwood as deeply invested in the social, political, and ethical health of American society grasp the foundational agenda of a serious director. My book offers an up-to-date analysis of Eastwood’s most probing movies (although when I finished it, Hereafter was not yet available for study) from an ethical and “religious” perspective little encountered by American audiences. MGS: One could say that you take the ultimate auteurist approach to Eastwood because you are essentially claiming that his body of work is highly unified even though he’s never had a hand in writing scripts and is notorious for shooting his screenplays without rewrites. What do you see as the essential components unifying Eastwood’s diverse body of work in terms of both form and content? SV: Every one of the movies I dissect (including the ones included in the chapter on “The Meal”) engages with the social fabric of American society: the (false) myths of cultural superiority that permeate a large portion of Hollywood movies; the marginalization of increasing numbers of non-white, non-rich persons; the moral dilemmas in which everyday people find themselves; and strong storytelling. Eastwood movies use darkness and light to create their emerging meanings—soft darkness for affection; hard darkness or bright light for evil. The stories often unfold at a deliberate pace; the director includes sequences that deepen the human dimension of a character rather than editing to emphasize a character with broad strokes or move the movie along at a breakneck pace. 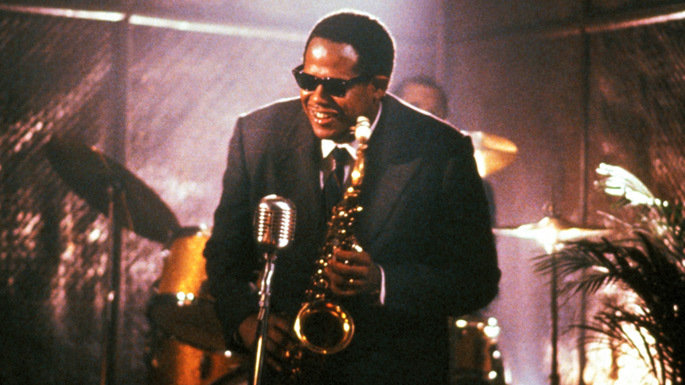 His use of music (particularly his own—think of Mystic River or Million Dollar Baby) subtly creates a meditative mood. I love all of his scores except for the ending of Invictus! MGS: One of the most compelling aspects of your book is the discussion of the “angel of death” character in Eastwood’s movies, a figure that perhaps finds its most pessimistic expression in Mystic River‘s Jimmy Markum. You show how this character has evolved over the last decade – from Million Dollar Baby‘s Frankie Dunn, who becomes an angel of death but out of love and mercy, to Gran Torino‘s Walt Kowalski, who has the opportunity to become this type of figure but refuses to do so. Do you think it is significant that the “angel of death” has been absent in the post-Gran Torino films? SV: The Angel of Death, a trope present in any religious or literary system that privileges a “hero” figure, is demolished entirely in Invictus. The hero’s strength arises from his complete transformation from guerrilla fighter into wily spiritual/political figure who appeals to his allies’ and his enemies’ best selves. Great story choice by Eastwood: the “great American hero” with blazing guns attacks the defenders of “God-given white superiority over the land” not by weapons but by the strength of love and non-violence. He’s Walt Kowalski’s reborn sacrificial figure who does not have to die to redeem the community. In Changeling, the spectator longs for Christine’s rescue. True, the fire-breathing preacher does mobilize a rescue team to spring her from the psychiatric hospital, but he himself is an ambiguous figure, and the problems the movie exposes—social corruption and even deeper, the presence of pure evil—transcend narrative resolution. As for Hereafter, it thoroughly engages evil in many forms through three specific story lines. Transformation, not revenge, lies at the heart of each story trajectory. Whereas I think Eastwood has been influenced by Dickens for decades, this is the first time he’s brought the author’s overarching conversion narrative to the fore. Let me qualify all of my sweeping terms (evil; hero; conversion) by noting that Eastwood the director stays close to his individual characters—their mystifying, specific, human sufferings and joys. Bridges of Madison County and A Perfect World may offer the best examples of funny, loving, tragic movies full of rich anecdotes. I wish I had time to analyze these (and Honkytonk Man and Bronco Billy) more fully in the book. MGS: Also speaking of the recent films, from Mystic River through Letters from Iwo Jima it seemed like Eastwood could do no wrong as far as critics and the Academy of Motion Picture Arts and Sciences were concerned. By contrast, the last four movies have been met with indifference or damned with faint praise. To what do you attribute this change? SV: So sad to see critics’ misunderstandings of powerful storytelling. The films’ reputation is growing among cinephiles in Europe—I have not read Japanese criticism yet. Curiously, too, as I travel around, I’ve spoken with dozens of French and American cinema-lovers who had seen Changeling, Gran Torino, Invictus, or Hereafter on DVD and found them deeply moving, even brilliant. What can I say about critics who may only watch the beginning of a movie and assume that’s the whole tale? Or who are moving on to consider the next best thing? In addition, if you’re looking for a Spaghetti Western or Dirty Harry, you won’t comprehend any of the four recent movies. MGS: A lot of the readers of this blog are students who are probably more familiar with Eastwood as an actor than as a director. What movies would you recommend they watch in order to deepen their appreciation of his filmmaking artistry? SV: Unforgiven first. The Outlaw Josey Wales. Million Dollar Baby. Gran Torino. Letters From Iwo Jima. Changeling. A Perfect World (my students’ favorite). I love them all! MGS: Hey Sara, what’s your favorite Clint Eastwood movie? SV: Unforgiven…..then Bird and Invictus. 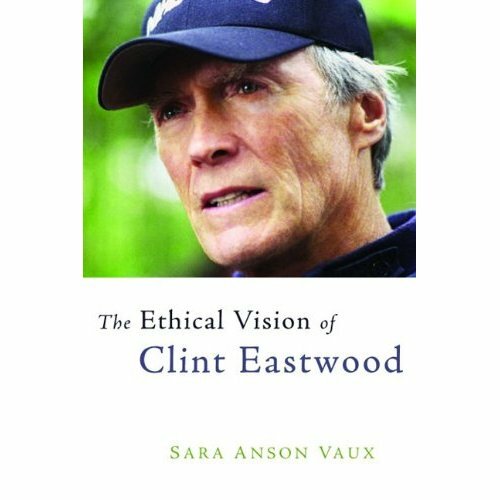 The Ethical Vision of Clint Eastwood can be pre-ordered from amazon.com here. This entry was posted on Wednesday, October 12th, 2011 at 9:27 am	and tagged with Bird, Clint Eastwood, Hereafter, Invictus, Million Dollar Baby. Gran Torino, Mystic River, Sara Vaux, The Ethical Vision of Clint Eastwood, Unforgiven and posted in Interviews. You can follow any responses to this entry through the RSS 2.0 feed. Clint Eastwoods elegiac boxing drama took four awards to The Aviators five but in the major categories of best picture director lead actress Hilary Swank and supporting actor Morgan Freeman .It was the second time director-producer-star Eastwood 74 received best picture and directing awards in the same year. The first time was for Unforgiven in 1993 and as he did then he brought his mother Ruth with him. Shes here with me again tonight at 96 so Im thanking her for her genes Eastwood said with a smile. I watched Sidney Lumet whos 80 and I figured Im just a kid Eastwood said.